The police or VOSA vehicle examiners use light measuring equipment to measure window tint. 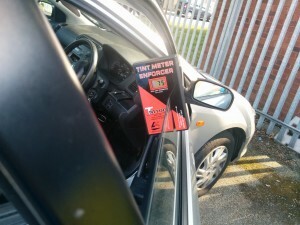 The owner or driver of such a vehicle will be required to have the tinted film removed from the windows under the direction of either a Rectification Notice or a Delayed Prohibition Notice, A period of grace will apply for a limited number of days (normally ten) during which time the vehicle may be driven whilst the rectification work is to be completed. In either case, the vehicle will need to be inspected by either a Police Officer or Vehicle Inspectorate Officer to confirm that the glass has been restored to a compliant condition. Prosecution is unlikely in such circumstances provided the vehicle owner complies fully. Above mentioned rules show how dark and which windows can be tinted for car to be road legal, however it doesn`t mean that you can tint front windows. 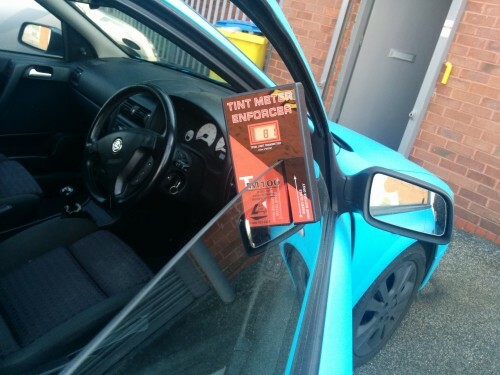 As shown on these images, most of the windows are tinted from factory and by applying on them any kind of tinting film will make your car illegal to drive on road.